Brace yourselves, Toy Story fans, I have troubling news for you: Your quest to uncover Andy’s father’s identity is entirely in vain. Your effort is futile; your quest, Sisyphean. Because the answer you’re looking for literally doesn’t exist. The mystery behind Andy’s father’s origin story appeared to be solved last week when a fella named Mike Mozart claimed in a YouTube video to know the truth. 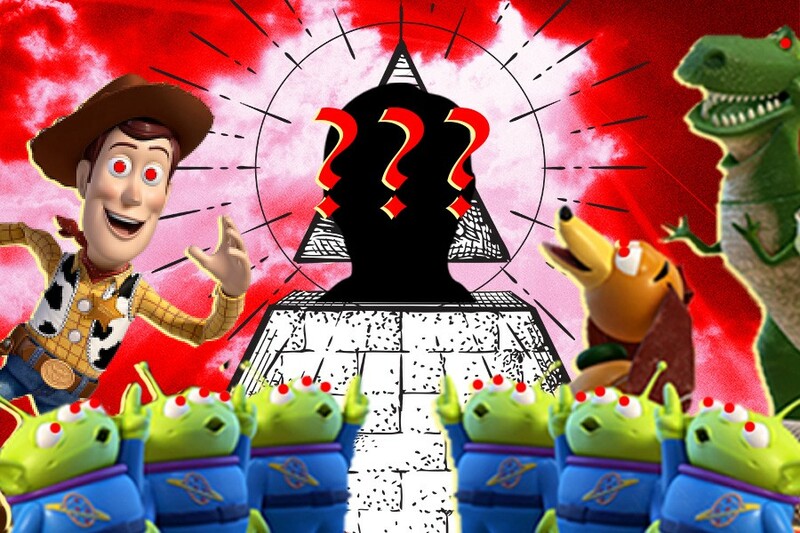 But the revelation was quickly refuted by Andrew Stanton, who co-wrote all three Toy Story movies. Pols noticed in the Toy Story films something only a single mother would: Andy’s mom was too chipper for a single mother of two. She never raises her voice or looks tired. She cheerfully executes a three-child play-date to Pizza Planet, and packs up her entire house for a move all by herself. Her home is immaculate, and she’s endlessly supportive of her kids, even when her annoying son won’t shut the hell up about the doll he lost. And she somehow affords to send him to college in Toy Story 3. Pols’ bafflement led her to ask the filmmakers about the whereabouts of Andy’s dad, only to have Toy Story 3 director Lee Unkrich tell her, “There is no concrete answer.” The filmmakers made a conscious decision to make Andy fatherless, but keep the father’s story ambiguous. And the unsatisfying answer, combined our culture’s collective daddy issues, has inspired years of speculation about what happened to the man behind the toy owner. In many ways, the internet’s obsession with Andy’s dad is no different from the constant theorizing Game of Thrones fans engage in, or Star Wars fans who rage that “Han shot first!” Being a superfan means immersing yourself in the subject and poring over and debating every detail of it online, no matter how mundane. Lucas can direct it again if he just admits that, yes, Han shot first. But the whereabouts of Andy’s dad isn’t a minor detail. At least, it shouldn’t be. Toy Story is ultimately a film about family—both the one we’re born with, and the ones we choose (or in the case of Andy’s toys, the ones who choose us). While bit characters, Andy’s mother and sister feature in all three films. His father is conspicuously absent, however. Some postulate Andy’s father died tragically when Andy was just a child, and that Andy’s father was Woody’s original owner. That would explain why Woody carries so much sentimental value for Andy, and why Woody is so protective of Andy in return. That theory, though, doesn’t quite hold water, as some bloggers have pointed out. 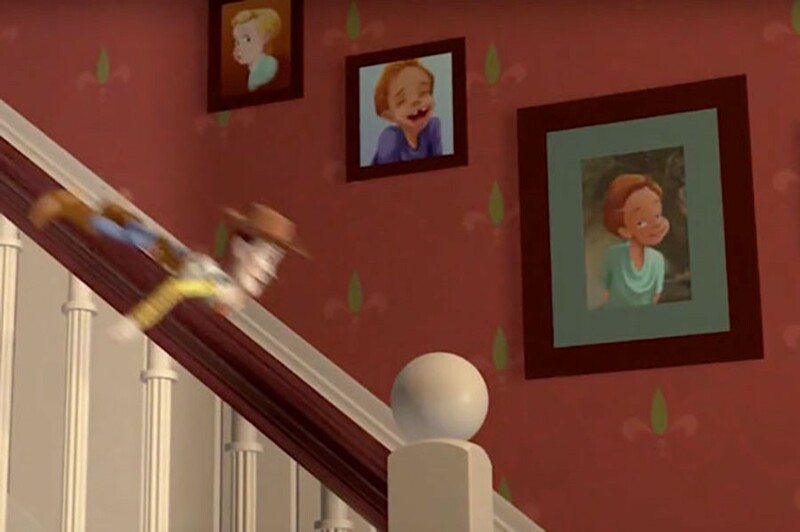 Photos of Andy, his mom and sister adorn the wall leading up the first floor staircase of the Andy family home and are clearly visible in the background of some shots. If Andy’s father had died, his photo would surely be up there, too. You don’t remove photos of a deceased loved one. If anything, you might give them pride of place. But when your husband leaves his pregnant wife to run off with some young floozy—yeah, you might not leave photos of him lying around. The prevailing theory, then, is Andy’s dad left the family following a messy divorce with Andy’s mother. That would explain why, in the first film, the family moves into a smaller home. Whichever the case, Andy’s absentee father explains why he has such a deep, lasting emotional connection with Woody and Buzz Lightyear. They represent everything his father isn’t: strong, reliable heroes who valiantly battle the forces of evil, and more importantly, never abandon those they have vowed to protect. I never thought much about Andy’s father until the internet forced the subject. I was always too consumed with the macho rivalry between Woody and Buzz to even consider his father, let alone craft a backstory for him. (I’m a Woody guy, for the record; Buzz is an insufferable, self-righteous overachiever.) I suppose I just assumed Andy’s dad was off working, but that says more about me and my personal experience than it does anything about Toy Story. The beauty (and horror) of a purposefully unexplained plot line is that it serves as a blank canvas on which we paint and process whatever thoughts and emotions are percolating inside us (consciously or not). What you think happened to Andy’s dad has nothing to do with the objective reality of this fictional Pixar universe and everything to do with your thoughts on the nuclear family, fathers, their effect on us and the role models we find or create in their absence. A cynic might think the filmmakers left the story of Andy’s father ambiguous so as to stoke debate and sustain years of interest in the film. It’s certainly had that effect, but it’s also been the gift that keeps on giving in terms of helping people process their own daddy issues.